Chimney liners can help protect your home and chimney even further. The chimney liners we offer at Chimcare also meet the newer standards required by the EPA, so that your chimney is more environmentally friendly. Recent changes in the law now require wood stove inserts to have a stainless steel liner that attaches to the insert and goes all the way up to the top of the chimney. If your wood stove insert does not have one of these liners, you must get the liner installed as soon as possible. Otherwise, in the case of a chimney fire, your insurance company could deny the claim on the grounds that you didn’t meet this requirement. That’s a costly mistake to make, and Chimcare is here to help you protect your chimney and home, and meet the new legal requirements with our EPA-approved chimney liners. Another thing to note, is that you will be required to install a chimney liner when selling your house if your wood stove insert does not have a liner. You also must dispose of your old insert at a certified location – that’s just one more hassle and thing to deal with during the crazy time of selling your home, and Chimcare can help make it easy! 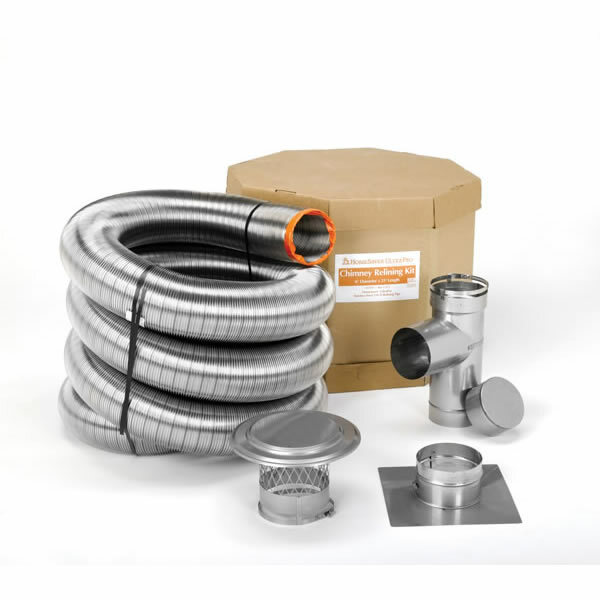 We offer the chimney liners that meet EPA approval, and specialize in installing chimney liners as well as disposing of old, non-EPA approved inserts that don’t have this crucial chimney liner component. If you already have a chimney liner, Chimcare also offers the service to verify that it is in good condition.